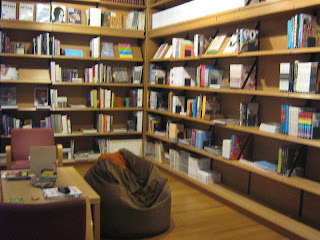 This is another bookstore we stumbled upon during our visit to Budapest. 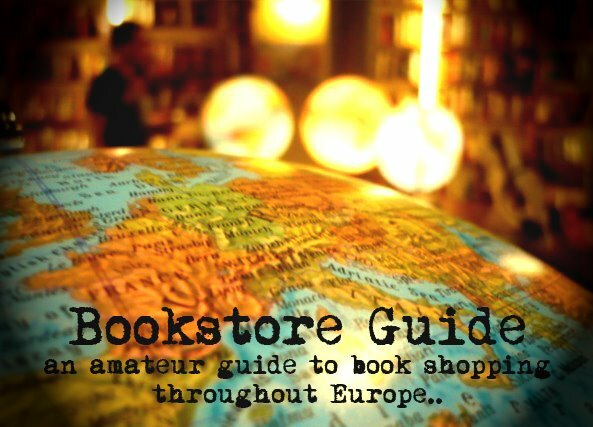 Unlike all the other bookstores in the city, the D2K bookstore has a very narrowly defined field of interest. It focuses uniquely on books related to design. First of all, the owners of this bookstore deserve praise for being brave enough and starting a project like this. Since no other people entered the bookstore during our visit, we assume that D2K probably serves the needs of a smaller number of specific customers. However, this is not due to a lack of interesting titles on the shelves, but probably also to the other negative factor in play - the location of the store. Their growing collection currently comprises of several hundred titles and each one of them is a visual delight. We found books on graphic design, photography, many books on architecture, calligraphy, typography, posters and many other related subjects. The vast majority of their books are in English.